Will the software generate the same password which I have set and forgot or it will generate a different one? Answer: No, the software will not generate the same password, you have set. The software will generate a set of six different passwords and you can use any one of them to access your locked PST file. I have used special characters while setting the passwords. Will the software works in this case or not? Answer: Yes, the software works, irrespective of the special characters in the password, password length and its complexity. Generally I kept all the passwords of particular category in a single file. Few days ago my hard disk failed and I lost all the data in C:\ drive including that file. Now I manage rest of the things except password of my mail account in Outlook. It was great to hear that Stellar can do that job for me. Could you please tell me that how to purchase the software because I don't have much time to wait around. Thanks!!! 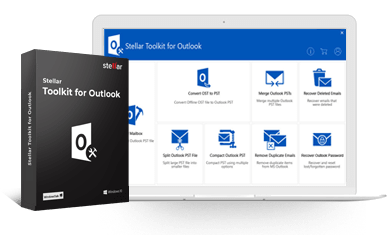 You can visit - https://www.stellaroutlooktools.com/pwd/buy-outlook-password-recovery.php and purchase Stellar Password Recovery for Outlook by making the payments on-line, using any credit card. On successful completion of payment, you will receive an Activation serial number and other activation details in your mail id specified during purchasing. Steps to Register Stellar Password Recovery for Outlook Software:. On the 'Stellar Password Recovery for Outlook' window, click 'Register'. The 'Activate Stellar Password Recovery for Outlook' dialog box opens. Provide the User Name and Activation Code in the appropriate boxes. Click 'OK' to complete the registration process. What are the system requirements to use the Outlook password recovery software? Do I need Outlook installed before using the software? Answer: Yes, you need to install MS Outlook in your system before you start using the software for recovering the passwords.